This is part of the Living Cheap Without Being Cheap course. Since when are two movies tickets and a popcorn fifty bucks? 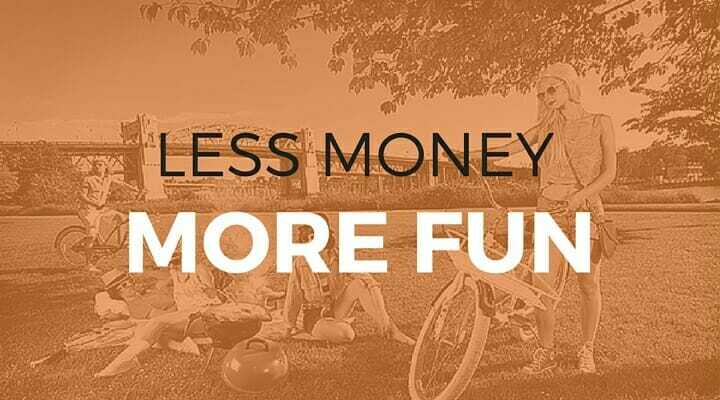 Having fun can put a strain on your wallet but not everything has to cost you your first born. There are plenty of fun and free things to do if you are a little creative. Before dropping a ton of cash at the bar again, take a look at this class to see what you can do without spending a ton. And remember, the best things in life are free. Need some quality ideas for what to do on a Saturday night? We'll show you some fun things to do for free or on the cheap. You may even earn some money. You don’t always have to go out drinking with your friends at a bar or ditch everyone and decide to stay in just because you don’t have money. After a long, miserable winter, summer is finally here. The birds are chirping, the sun is shining - there is no better time of year for having fun. The best part is there are so many cheap things to do in the summer. Get the most out of your summer fun. Here are a few tricks to help you save when you eat out so you can go out more often and feel less guilty. You could save up to 60% before you arrive!